Departing from Johannesburg first thing this morning, you will journey on to Mpumalanga via the amazing Panorama Route. There are a number of spectacular vantage points along the way where you’ll witness the stunning 33km-long Blyde River Canyon gorge, which begins at Bourke’s Luck Potholes and ends at the Three Rondavels. If time and weather permit, stop off at God’s Window. You will arrive at your hotel in the afternoon, where you can check-in and freshen up before dinner. 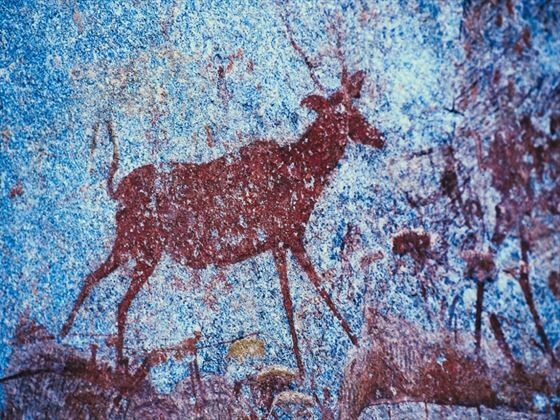 After breakfast, travel to the Royal Kingdom of Swaziland where you will enjoy a showcase of the traditional Swazi culture, followed by lunch at the Matsamo Cultural Village. You will then continue on to the Ngwenya Glass Works to see master craftsmen create stunning sculptures from molten glass. After spending some time at the Mbaban craft markets, you’ll return to your hotel situated in the breath-taking Ezulwini Valley. Enjoy a morning visit to the Swazi Candle Factory before journeying on via the Big Bend into KwaZulu Natal. You will arrive at your hotel in the afternoon, before embarking on a scenic afternoon drive with views overlooking Lake Jozini. Stop for sunset drinks as the sun transforms the sky into a blend of stunning colors, and then combine your drive with a visit to an authentic Zulu homestead. Return to the hotel for dinner. Today you will transfer to the Hluhluwe-Umfolozi Game Reserve for an afternoon of game viewing. 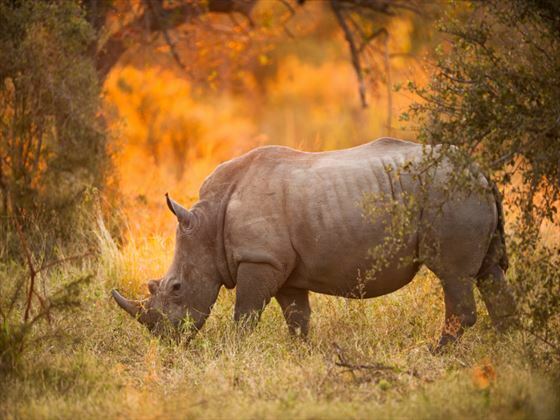 This area covers an astonishing 90,000 hectares and was the location where the white rhino was saved from extinction. You will return to the hotel in the late afternoon, ending the day with dinner at the hotel. 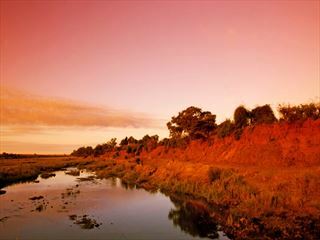 Continue your journey along the Elephant Coast of KwaZulu Natal to the iSimangaliso Wetland Park, a World Heritage Site. You will embark on an estuarine boat trip at St Lucia, where you’ll take in sightings of hippos, crocodiles and numerous bird species. 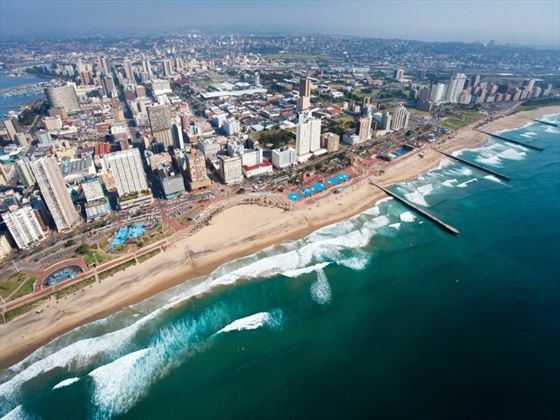 Continue on to Durban for arrive in the afternoon at your hotel. 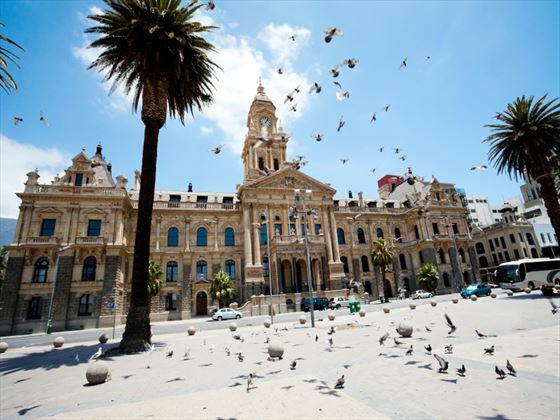 This morning you will embark on a brief tour of Durban City where you can explore the cultural and historical contrasts of the city. Check in at the King Shaka International Airport for your domestic flight to Port Elizabeth (flight cost not included). On arrival at Port Elizabeth Airport, transfer to your hotel. 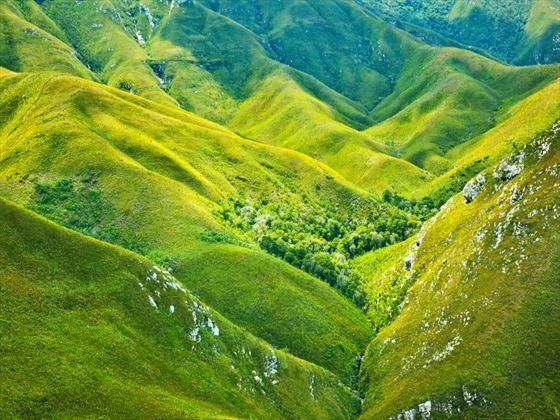 Today, depart from Port Elizabeth and travel via the coastline to the stunning Tsitsikamma National Park. Here, you can enjoy a walk along the suspension bridge which overlooks the Storms River mouth gorge for spectacular views. Continue to Plettenberg Bay for dinner and your overnight stay. Following breakfast at the hotel, visit the Elephant Sanctuary where you’ll have the chance to touch, feed and photograph the amazing creatures. After lunch at your own leisure, visit the Birds of Eden – the largest free-flight bird aviary in the world. 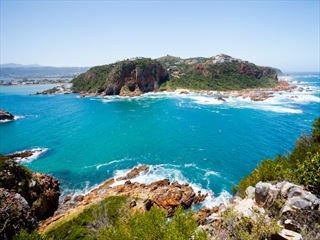 After breakfast and check-out, proceed to the lagoon side of Knysna – the gem of Garden Route. 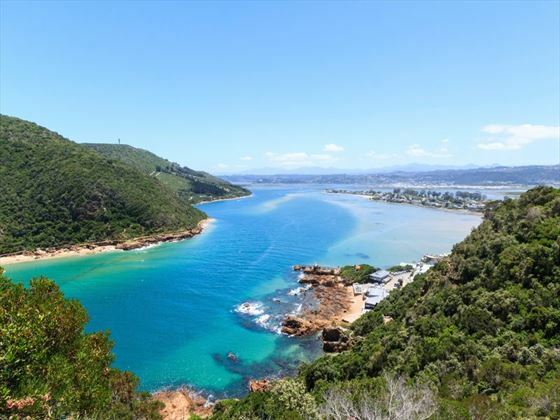 Embark on a tranquil cruise to and into the Knysna Heads (weather permitting). Once you’ve returned to the mainland, continue to Oudtshoorn which is known as the ‘feather capital of the world’. Visit a working ostrich farm where you can take part in a guided tour, then check into your accommodation in the late afternoon before having dinner. Enjoy breakfast before checking out of the hotel. You’ll take part in a morning tour of the Cango Caves, which are considered one of the natural wonders of the world. 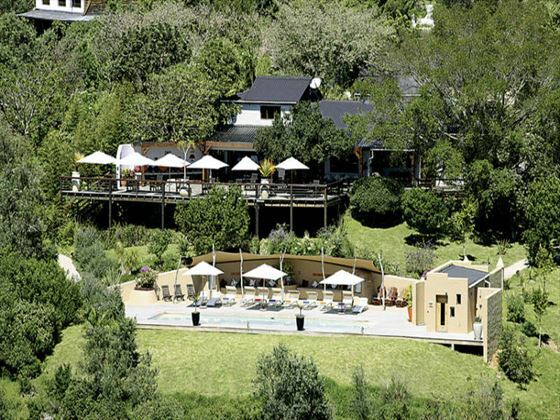 Depart from Oudtshoorn then travel via Route 62 to Barrydale for lunch at your own leisure. Arrive in Cape Town around 6pm. 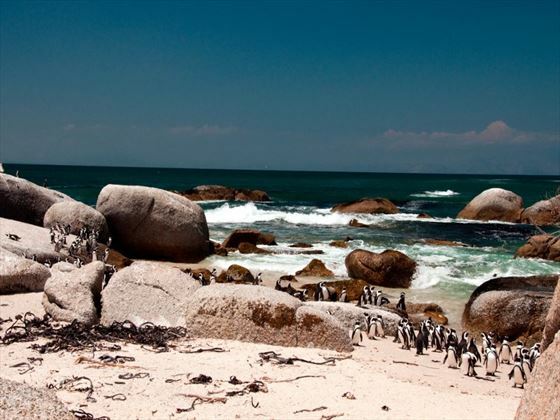 Today you will be collected for your scheduled full day Cape Point and Peninsula Tour – an amazing tour taking in beaches, breath-taking views and picturesque villages to the towering headland known as Cape Point. The tour ends on arrival to your hotel in the late afternoon. 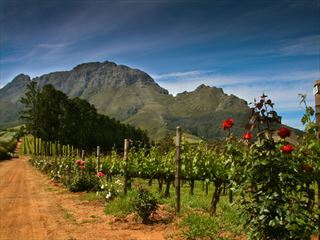 Today sees you take in a scheduled full day Cape Winelands Tour. This is a beautiful drive which winds through the heart of the Cape Winelands, through amazing mountain ranges, vineyards and Cape Dutch homesteads. You will then return to Cape Town during the late afternoon. Enjoy breakfast before checking out of the hotel. 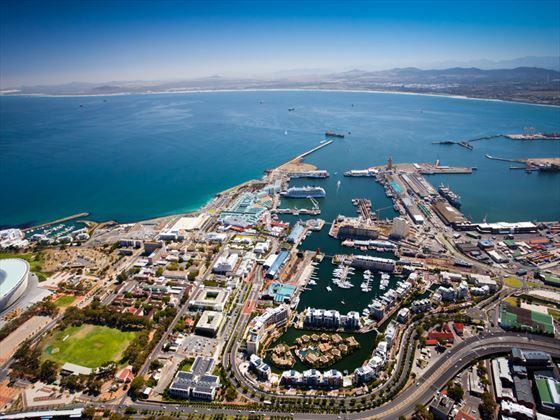 You will be collected from the hotel for a scheduled city tour, taking in the sights of Cape Town and the Victoria & Alfred Waterfront. The tour ends with a drop-off at Cape Town International Airport. Departures available on Mondays from Johannesburg. 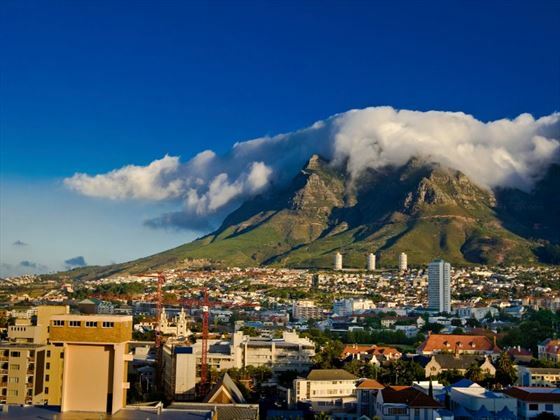 Note: This tour is also available in a northbound direction with departures on a Monday out of Cape Town.